Influencer marketing, influencer advertising, or influencer relations: Which influencer strategy shows the best results? Which is the right one for your company? And is it just either-or or can these three approaches be combined? Let’s shed light on influencer strategy and have a look at some real-life examples of brands. Let’s initially focus on two different approaches existing in the influencer marketing universe. The strategic approach is designed as a long-term strategy. Influencers are embedded into a holistic strategy, in which influencer marketing, influencer advertising, and influencer relations are combined and act as a permanent part of a company’s overall marketing mix. The integrated processes impact additional parts of a company, like PR, Social Media, digital campaigns, media campaigns, and SEO. The operational or tactical approach, on the other hand, is focused on short-term actions, like single campaigns, which aim at momentary attention, reach, and sales. With a strategic approach to influencers, companies use a combination of short-term, tactical measures, and long-term measures focused on relationships. The mix of influencer advertising, influencer marketing, and influencer relations supports brands accomplishing immediate as well as long-range objectives. Influencer advertising includes short-term measures like single campaigns, which generate effective reach, as well as brand attention and sales. Influencers are mainly used as media platforms in this approach, to help raise awareness of a brand in an early stage. Marketers aim at automatizing these processes to a large extend, while minimizing stray losses and preventing ad fraud as far as possible. German fashion influencer Caro Daur works with brands on all three levels: Advertising, marketing, and relations. This posting is part of Caro Daur’s advertising campaign for Ecco shoes. The brand uses Caro Daur to juvenate and modernize the brand’s image, which used to be rather grown-up instead of young, cool, and modern. Although this is an influencer advertising campaign in the traditional sense, a cooperation like this can build the cornerstone for a longer-term relationship. Watch our free on-demand webinar on how savvy brands develop reciprocal relationships with influencers. Influencer relations are situated at the other far end of the spectrum. Influencer relations are a long-term approach to utilizing influencers. Influencers are treated as partners, clients, and fans of a brand rather than simply as media platforms. To build a strong relationship with influencers, it is essential that marketers approach them on a human level instead of thinking of them as billboards. KPIs play a subordinate role in influencer relations, although metrics like reach still come into play. The focus, however, is put on soft factors like quality, image, authenticity, credibility, and engagement. In contrast to influencer advertising, influencer relations are based on a qualitative approach. In various cases, however, the relationship between an influencer and a brand starts off as based on influencer advertising and develops from there over time. This posting is only one of many which emerged from the relationship between Caro Daur and the luxury fashion brand Dolce & Gabbana. Caro has the perfect brand fit for the Italian brand: Both embody a high-class, modern image. There is a huge overlap in how people perceive both the brand and the influencer. Caro brings a young, fresh, and innovative look into the relationship, while the brand puts Caro on a pedestal, lets her walk in their fashion shows and gives her a certain exclusivity. This relationship is definitely a win-win situation for both sides and provides a mutual image boost. Finally, influencer marketing combines aspects of both influencer advertising and influencer relations, resulting in a more holistic approach. In the end, it all comes down to focusing on long-term connections, enabled by friendly communication with the influencers, which will result in honest, valuable, and productive relationships. An essential factor of influencer marketing is the embedding of the influencer content into other parts of the company, like digital content marketing campaigns. For Calzedonia, Caro Daur was booked for an influencer marketing campaign. 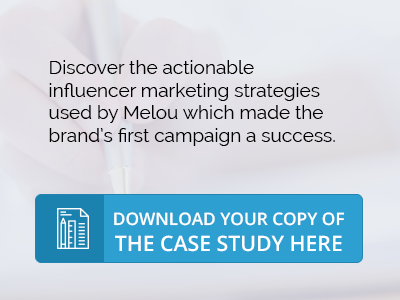 The Italian fashion brand uses the influencer and her extensive reach as a testimonial. Apart from mentioning the brand in her Instagram postings, Caro also models for the brand: Huge billboard advertisements display the fashion influencer in tights of the popular Italian brand. So, in addition to just cooperating with Caro for her reach, Calzedonia strengthened the bonds with Caro and gave her even more exposure, which was beneficial for both parties. Instead of treating her like any other ad banner, the brand invested in a closer cooperation, possibly leading to a long-term relationship. No matter which approach you start out with, always keep the holistic strategy in mind. A single campaign can get you great results, but it might be worth incorporating a long-term influencer strategy rather than aiming for a quick fix and short-term attention. What’s to come and how will it impact your influencer strategy? Influencer relations will rise in 2018, with brands being more cautious about their influencer choice. In a more and more competitive environment, the quality of influencers and their value for brands is key. Influencers, however, will focus on quality in a similar way: high-quality influencers will become more deliberate about their partnerships and will rather want to focus on strong, valuable, and honest connections to brands.